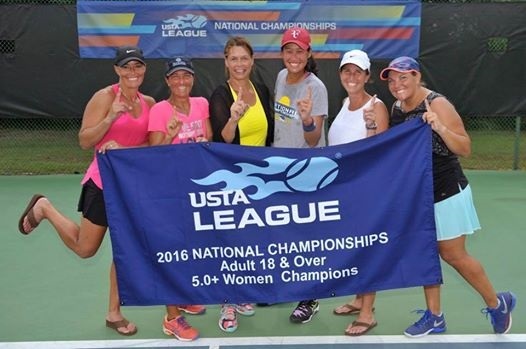 The Ladies Tennis Program at Park Crossing ranges from highly competitive, traveling across the country AND winning championships to more casual, fit-oriented programs. With a top trainer, excellent facilities and more importantly, a supportive community of players (no matter what their individual goals), this unlikely neighborhood recreation team has excelled year after year at producing winners. Our edge? The very social nature of the team and players. These community members understand the importance of being a team carries over to other social events and is one of the first Club Groups to support initiatives in the neighborhood. They play hard, and play harder when it comes to having happy hours, dinners and encouraging others to join their social hours. If you're not quite a 5.0+ player but rank high enough to play against the city's elite, the Park Crossing first team has played Division 1 for over two decades against powerhouse tennis programs like Olde Providence, Weddington and Blakeney. A very social team with a year end banquet. Contact Julie Hollar if interested. Team 2 is routinely in the thick of things in Division 3 against the first teams of Sardis, Matthews and Windy Rush. 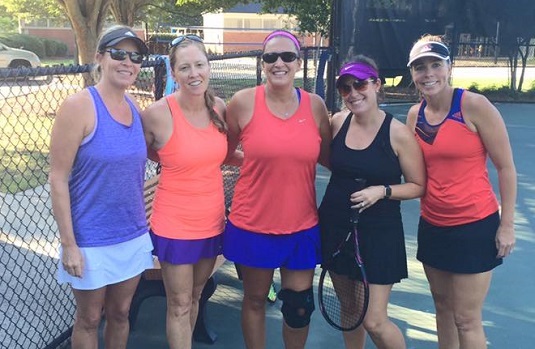 The womens' Wednesday Division 6 team is renowned for being fun and recreational. Park Crossing routinely has between 3 and 4 Queen City teams, a testament to the staying camaraderie and fun everyone has. Contact Elizabeth Pickens if interested. The mens' program advanced out of Division 4 last season, they've proven what they've always believed, that they belong in Division 3 and are focusing on getting to Division 2 and above. They are starting another, more recreational team for those seeking a place to get a good workout with friends. Coffee and Egg sandwiches provided pre-match and post match beverages with our opponents has become our calling card. Contact Brian Moran if interested. No matter what your level of play, there is a level here for men, ladies and children. From summer camps to one-on-one training, the Tennis Club is very well organized, run and drives a community spirit. 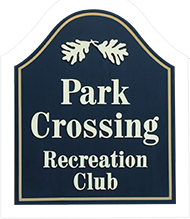 Even if you are not a Park Crossing resident you can join the tennis club.